About a month ago my husband stumbled across this video on using ammonium chloride to brand wood, and I was totally intrigued! It looked like a really neat technique with lots of great crafting possibilities. I ordered some ammonium chloride on Amazon right away to try it out…but I think a bunch of other people must have had the same idea, because it went on back-order :-( I finally got it last week and promptly tried it out. Guys, wood burning with ammonium chloride is SO. COOL. It’s also a technique that’s really hard to capture in photographs – you have to see it to believe it. So I whipped up a quick little video to show you how this technique works. It really is like magic! Ok, now for a little bit more detailed tutorial. First of all, a disclaimer – I’ve read that ammonium chloride isn’t a very dangerous chemical, but it still is a chemical – so it’s probably a good idea to wear safety glasses and gloves when you handle it. And definitely store it out of reach of children. STEP 1 – Mix up your ammonium chloride solution – 1 T. to about 1/2 cup of warm water. Stir until dissolved. STEP 3 – Use a paintbrush to paint over your design with the ammonium chloride solution. (You could also use a water pen for a bit more control, if you want!) Use a very small amount of solution on your brush at a time – too much can make it run, and there’s no way to “undo” where your solution has been painted! STEP 4 – Make sure your wood is on a heat-resistant surface. (I just used a scrap piece of plywood.) Using a heat gun, carefully heat your design until the brand appears. The longer you hold the heat gun over the design, the darker the brand will be. Don’t hold it in one place too long or you may begin to scorch the surrounding wood. I did try a hair dryer to see if it would work, but the temperature was just way too low – I didn’t even get a slight burn. You definitely need the heat gun for this process, but they’re not terribly expensive…this is the one I picked up at Lowe’s for about $20. That’s all there is to it! Isn’t it neat? I love the variation in color and texture you can get with this technique. 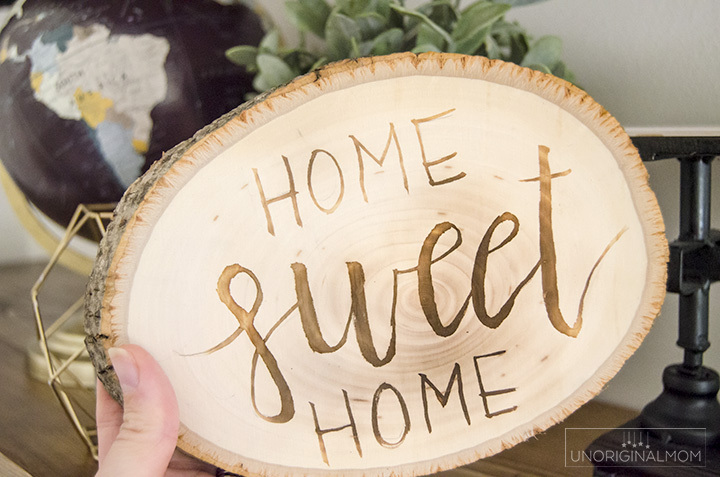 It’s a very different result than you’d get with a wood burning tool. I’m excited to try some different methods with this technique – including stamping and stenciling! I’ll be sure to update this post with any new projects I try. 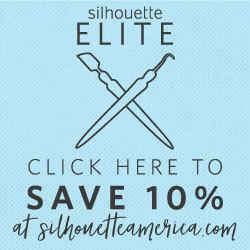 In the meantime, make sure you subscribe via email so you don’t miss a post! Did you try this with stamps yet? Does it damage the rubber on the stamps? Hi Lesley, I haven’t tried it myself yet but I’ve seen a few other videos of people that have with success! I don’t think it would damage the rubber. How about making a stencil with vinyl. Paint in the words, remove the vinyl and use the heat gun. Meredith, do you think that would work? The vinyl would keep it from bleeding. DOes the solution need to be wet when you use the heat gun or can it be dry? Hi Kate, you could definitely try it! It will work with after the solution has dried, too. My concern is that the solution would bleed under the stencil since it is so thin. 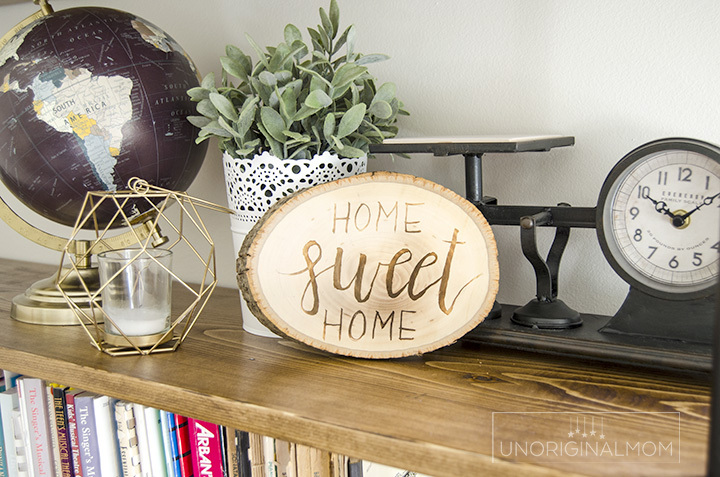 It’s on my list to try, though – I am planning to use the stencil and paint over it with mod podge, then peel up the vinyl and paint with the solution, so the wood will burn where the vinyl was. Make sense? If you try it either way let me know how it works out! Have you tried this method yet?? Could you please do a tutorial? Do you mean with the stencil? I actually haven’t gotten around to trying it yet but I have some ideas for Christmas gifts so I will be trying it soon! I will update this post with links to the tutorial once I publish a new tutorial! I’ve done it and it works great! I tried this with raw wood but the painted letters just bleeded and flowed. It seems like the surface was too rough. Can I first use a sander to get it more smooth? Hi Lindie, I had something similar happen the first time too. It takes a VERY small amount of solution on your brush! You could even use a paper towel to blot the brush and get off any excess. And yes, a smoother surface will probably help, too, so you could try sanding it down. Does it actually burn the wood? Yes, it’s more of a brand and the surface stays pretty smooth (unlike a wood burning tool which puts small indents in the wood with the burns) but it does chemically burn the wood. For the plywood you use, does it require long drying before use? Hi Jessica, there really isn’t any drying time at all! As soon as you apply the solution you can use the heat gun, you don’t have to wait for it to dry. Is that what you mean? But even if you do let it dry before you use the heat gun, it still works the same way. I am looking to use this for a Father/Daughter craft idea. Do you have to wear a mask or gloves? Is it safe to breath in. Hi Blayne, I really couldn’t say for sure…I didn’t wear a mask or notice any fumes but you’ll want to do your own research just to be safe. Gloves are probably a good precaution. I attempted this by making a vinyl stencil! I put the decal on the cutting board purchased from Walmart. Then applied varnish and removed the vinyl. Applied the ammonia chloride but it bled around where the decal was. Do you know how to avoid this? Thank you! Hi Krystal, no, the “I am His” sign was a different technique that’s actually an image transfer…this one is wood burning. I don’t have a video tutorial for that one, unfortunately. I would like to make one of these as a table centerpiece where people can put their hot pans on it. Do I need to put something on top of it to protect it? Great idea! 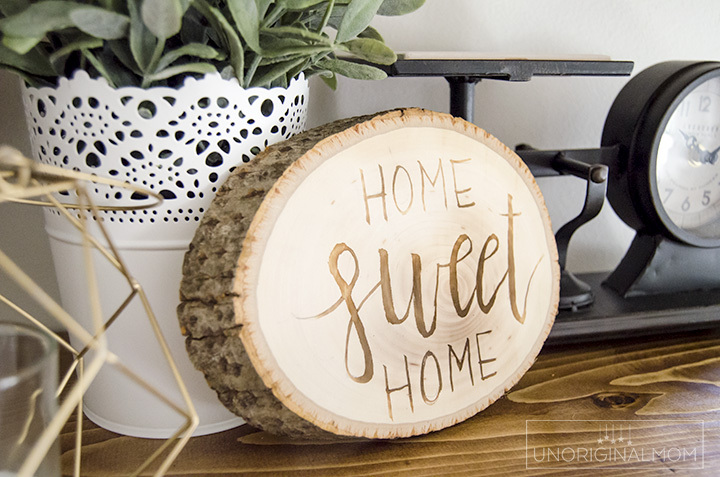 I don’t think you’d need to do anything to protect it, as it’s the same as a wood burned design – it’s literally burned into the wood, so nothing is going to scuff it off. But if you’d like a more “finished” surface, adding a coat of Mod Podge or polyurethane would work well. Hi, I wondered if you could help me? I’ve been trying this idea for a couple of weeks now and have had no luck, followed all the steps and others who have done a similar thing. I’ve used a stamp and hand painted onto wood however, as soon as I put my heat gun on the wood, the ammonium chloride solution just dries as if nothing is there, so it just leaves me with a blank piece of wood. I don’t have a lot of experience with this technique so I’m not quite sure why that’s happening…but here are some troubleshooting ideas! What kind of wood are you using? Is it possible it’s been treated somehow and isn’t letting the solution soak into the wood? You might also try a bit of a stronger solution. Or it could be that the stamp isn’t transferring enough of the solution, so maybe try just painting on the wood to see if that works? It could also be that the heat gun isn’t hot enough. I tried a hair dryer and that did the same thing you’re describing – just dried the solution without making any mark on the wood – because it wasn’t nearly hot enough. the wood in untreated and I’ve tried painting, so perhaps its not hot enough like you say! I will have to take it back and invest in a better one I think! Thanks for your help. It does feel more like a hairdryer as you describe. Hi. It looks like you painted the wood slice with a white paint prior to applying the solution?? Am I seeing things? Nope, I just put the solution on the bare wood! Awesome…I am sensitive to chemical smells. Does the powder or mixture have an odor? Thank you. No, I didn’t notice any odor at all! Do you know if this technique can be used on leather or any other material? It is a chemical burning reaction with the wood, so I don’t believe so…but I don’t know for sure. Sorry!